Charles Daniel Saliba, B.Ed. (Hons.) Maltese, Dip. Arabic (Distinction), MA in Mediterranean Historical Studies, PhD (Sheff.) UK, lectures on Maltese linguistics and literature at the intermediate and advanced levels at the Sir M.A. Refalo Centre for Further Studies. He is also a visiting lecturer at the MCAST University College and a practicum visitor with the Institute for Education. He has published over 40 books on the Maltese language. Saliba won a prize for his book Realtà in the Prose for Adolescents category at the National Book Awards in 2007. He specialises in teaching Maltese as a foreign language. 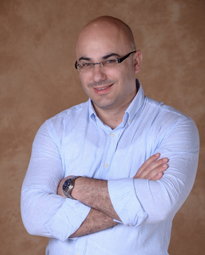 Saliba represented Malta as a main speaker at the 2011 and 2016 Interdisciplinary Colloquium on Proverbs in Tavira, Portugal, where he presented his research Maltese proverbs: a reflection of Mediterranean history and culture? and Maltese Proverbs on women respectively. In 2012, he presented his research Skyjacking–its character, effects and decline at the conference ‘A Wonderful Future Beckons for Young Gozitan Historians’, organised by the History Department of the University of Malta. This year he published a research named: Teaching Maltese as a second language to adults in the book ‘Informing Educational Change: Research Voices from Malta’ published by the University of Sheffield. 50. Parlo maltese 1, Print It, (2018).